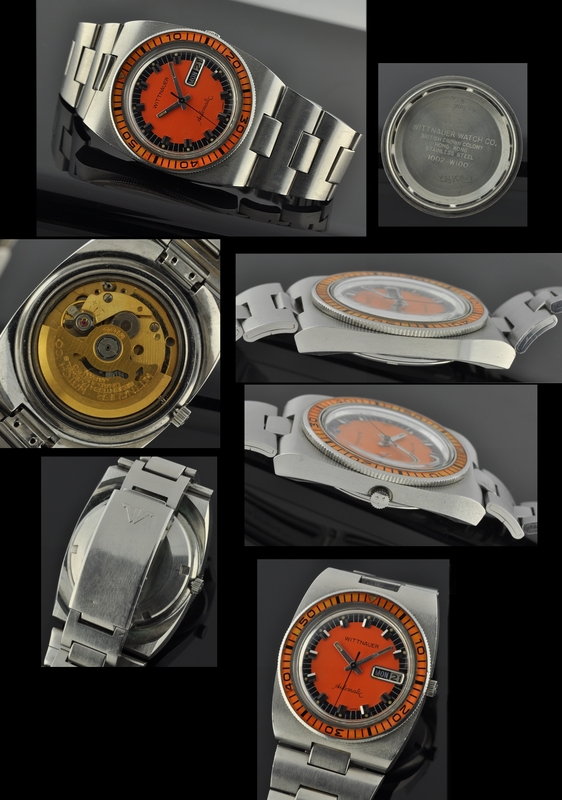 This vintage 1970’s WITTNAUER diver’s watch is a large and exotic watch measuring 38x46mm. 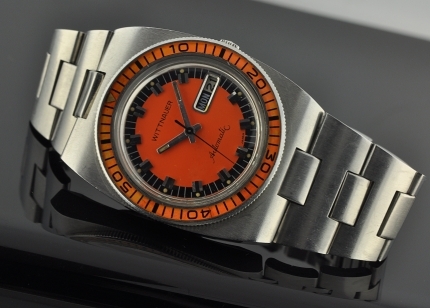 with the original and great looking full length stainless steel bracelet, The original orange an black dial with turning orange (original bezel) will attract many eyes. This automatic winding movement (by SEIKO) is running quite accurately.